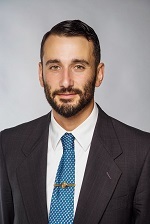 Anthony received his Bachelor’s degree from the University of Florida in Gainesville in 2009 and his Juris Doctor with a Health Law Concentration from Nova Southeastern University Shepard Broad College of Law in 2018. While in law school, Anthony was a member of the Moot Court Honors Society and the Nova Trial Association. Anthony participated in the Veteran’s Law Clinic, where he assisted low income Veterans petition for discharge upgrades and service-connected disability compensation. Anthony also participated in the Adults with Intellectual and Development Disabilities Clinic, where he helped low income clients assert their rights concerning special education entitlements and guardianship matters. Throughout law school, Anthony also interned for the Florida Civil Rights Coalition. Prior to becoming a lawyer, Anthony served for five years on active duty in the U.S. Marine Corps, and also worked as a medical administrator for the Veterans’ Affairs Medical Center in West Palm Beach. Anthony is licensed to practice law in Florida, and focuses on workers’ compensation insurance defense.